Having Irish heritage means different things for Irish-Americans. Some of them don’t really try to find out more about their roots and follow the American way of living, but most of the American citizens we talked to over the years had a powerful connection to their Irish heritage. Another amazing thing we learned about these people is that they don’t keep their heritage because they have to, but because they want to! We said this over and over again – if you see learning Irish Gaelic and identifying with your heritage as a chore, then it’s probably a good idea not to do it. On the other hand, we do acknowledge how strengthening one’s connection to his or her Irish heritage can allow them to learn more about themselves, and to connect better with family & friends. Hey everyone, before we move on with this inspiring interview, we wanted to let you know that we will keep our tradition of offering big discounts on Black Friday. More details about this will be published on our blog, next week, and sent out to our blog subscribers in the weekly newsletter. Most people that are in pursuit of understanding their Irish history & heritage should start learning Irish Gaelic because it will help them understand their legacy better. Knowing (even a little bit) of Irish will allow you to learn more about Ireland, your family’s history and to connect with Irish relatives. Below, you can read Michael MacFaden’s inspirational story about learning the Irish language because it’s his heritage and part of his culture. Although he is born and raised as an American, he is most proud that he’s the first one in 4 generations to speak Irish, and plans to teach his children. Read the Bitesize Irish Gaelic interview and share your thoughts using the comments section below. Both us and Michael are genuinely interested in what you think! Michael: In short it is my heritage, my culture. Labhair mo sinsear as Gaeilge! Growing up, I knew well my Grandmother Moya and her Dad my Great Grandfather Hugh Langan though they did not speak as Gaeilge. Now I’ve become accustomed to those around me having multiple languages. I’ve had the opportunity to work in Europe twice now, once in Switzerland, and in Cork, and on the west coast of the USA everyone from everywhere else and they all have a second or third language. So to me it feels empty not having mine. I boast I’m the first in four generations to speak the Irish Language and its my intent to pass it on to my children as well. But then everyone asks why Irish and not a more “useful” language? Well it is simple really. Other languages are beautiful, maybe more useful, but are not my culture, not my heritage. I do recommend this book: “Coming home: One Man’s Return to the Irish Language” by Michael McCaughan as it rang true for me. I’m also in my middle years and I share his very same desire to master the language and think about the world in Irish even though I’m American born and raised. You know the American West has many telltale signs that Irish was once quite alive here and spoken in many communities in the western states, not just Boston and New York. Michael: Yes I’m mostly Irish. 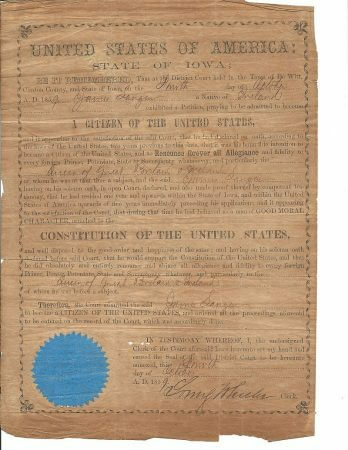 I know my great grandfather Hugh Langan whose ancestors came to America 1859. If you take a look at the following picture, you’ll see what it took to be a US Citizen then. My Grandmother Moya, a Catholic even though I’m Episcopal, had a huge influence on me growing up. She always took a keen interest in her grandchildren, in their upbringing and was there for us. She was the best. Michael: I like the amount of vocabulary, the dialogs to practice and the chance to have the live calls to listen and practice. Its a great tool to have in addition to other resources. The online quiz is useful. Michael: First, Listen to RnaG every day. I very much like Ronán Beo and Cormac ag a Cuig daily. I get maybe 10%. But its on, its in my ear. I like Blás podcast from BBC Radio Ulster as well. Listen, listen listen. Learn some tunes to sing or if ones into poetry learn a poem or the Lord’s prayer or anything you often say in English. It’s amazing how much you get out of it. Then tools like Duolingo for down times in transit to practice vocabulary. I tape cards with the Irish words to things in my home, I draw a body and learn the parts head to toe. Lastly I find others in my neighbourhood via the San Francisco Irish Cultural centre and I attend the Irish Language classes now and then meet other families that are doing the same. Switch all your electronics to Irish Language. All my home computers, my cell phone, my email, are now switched and if they are not replace with a newer one that does have that feature. 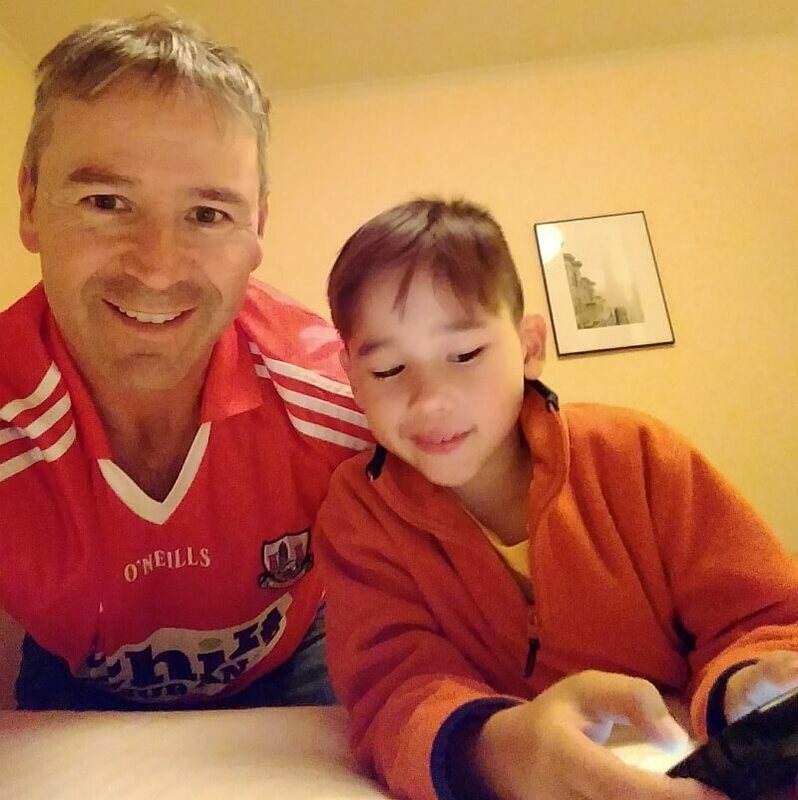 And YouTube videos from Seán Mór who used the language with his kids, which is what I do and he gives you words/vocabulary for family interactions like get up, get out of bed, get dressed, get going! Finally, the end, just do like your motto says, a little bit every day. No other way. Want to strengthen the connection to your Irish heritage? Make the first step and sign up for a Bitesize Irish Gaelic membership. We are offering big discounts on Black Friday. More details about this will be published on our blog, next week, and sent out to our blog subscribers in the weekly newsletter. 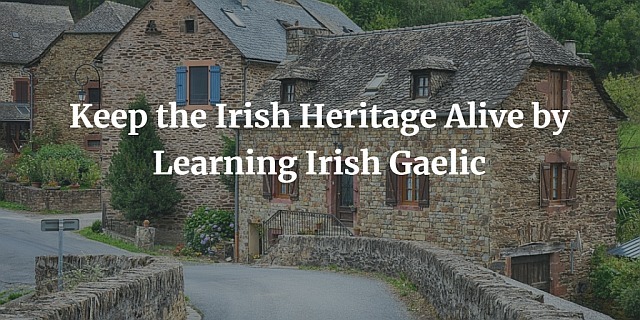 How Important Is It for You To Learn Irish Gaelic?